They dispute about what sphere rhythmic gymnastics belongs to: sport or art. And each side of this dispute can provide convincing arguments. Sport historians insist on the fact that rhythmic gymnastics is one of the popular and respected kinds of sport. But many art critics are ready to equally insist on the fact that, first and foremost, rhythmic gymnastics belongs to art. Perhaps, this dispute doesn’t have the exact categorical answer. It would probably be reasonable to remember the wise recommendation of Roman poet Horatio, convincing to see the truth in the “golden mean”. Yes, the sport representatives are as right as the art ones. Rhythmic gymnastics is a sport that attracts the attention of the worldwide viewers, but it also an art that amazes million people with its astonishing grace. This is the aesthetic influence! Some European and American famous people were the first who founded rhythmic gymnastics. They dealt in different activities. 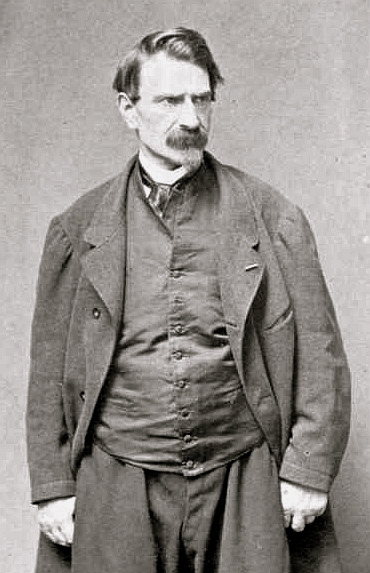 Famous French physiologist George Demeny justified that it was important to use a special system of exercises for muscles stretch and relaxation. This system included dancing steps and exercises with the objects. The Demeny system had a major impact on the rhythmic gymnastics development. But the influence of the “aesthetic gymnastics programme” by François Delsarte was not less important. This Demeny’s compatriot glorified his name far outside the native France thanks to his opera skills. Famous artist Jean Auguste Dominique Ingres even said that the Delsarte’s glory was greater than the king’s one. François Delsarte came to the conclusion that every human movement is specific and its reproduction can cause some feelings. 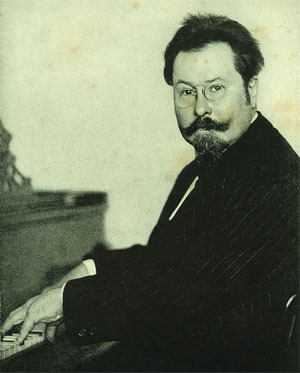 “Rhythmic gymnastics” system of Swiss composer Émile Jaques-Dalcroze approached the appearance of rhythmic gymnastics even faster. Exercises for musicality and ear development were first used for actors, but later they were firmed up in sport. List of famous names would be incomplete without Isadora Duncan. Great dancer of the 20th century is often spoken as about “rhythmic gymnastics godmother”. In her art of “free dance” she embodied the ideas of the Delsarte’s aesthetic gymnastics and Dalcroze’s rhythmic gymnastics. Things that Duncan did were revolutionary, stunning, they were a sort of a challenge to the former cultural stereotypes. Dance of legendary Isadora became a metaphor of freedom, and she embodied the liberated creative spirit. Perhaps, the period when Isadora lived in Moscow influenced a lot on the development of soviet rhythmic gymnastics school. Many great RG masters who founded this school admitted later, that the art of the great dancer influenced a lot on their creative and sport world view. The richest creative and scientific heritage, which is the basic of the world famous rhythmic gymnastics, was fully comprehended in Russia. So, it would be quite adequate to tell about its Russian origin. “Higher School of Artistic Movement” was opened in 1934 at Physical Training Institute in Leningrad. And that was a landmark in rhythmic gymnastics history. This school not only united the efforts of the teachers from plastics studios and artistic movement schools. Famous ballet masters of St. Petersburg’s Mariinsky Theater were also engaged. Those years the great rhythmic gymnastics tradition of Russia was founded, and it has the worldwide acceptance today. Besides that, the term ‘rhythmic gymnastics” also appeared in those years. School results were shown at the first Leningrad Championship in April, 1941. Tragic events happened later surely slowed down the development of the sport school. But shortly after the end of WWII, All-union section of Rhythmic Gymnastics was founded. All-union competitions were held in 1947 in Tallinn, Estonia. It’s interesting that students from Isadora Duncan Moscow Studio (Isadora’s adoptee, Irma, was the head of the studio) also took part in this competition. Weighty result of this powerful postwar breakthrough in Russian rhythmic gymnastics development was Kiev All-union Championship, where the world discovered the champion – Liubov Denisova. The epoch of the 1960s is the period when Soviet rhythmic gymnastics entered international arena and world level. The way was opened in Sophia where gymnasts from 3 socialistic countries competed: USSR, Czechoslovakia and Bulgaria. Gymnastics competitions 1963 in Budapest were called “European Cup”, but later it was found out that not only the Old World representatives took part in them. Thus, those Budapest competitions became the first World RG Championship. Liudmila Savenkova (Moscow, USSR) was the winner then. So, the epoch of the World Rhythmic Gymnastics began! In 1960-70-80 the competitive struggle continued between the representatives of the 2 great schools – Soviet and Bulgarian. This opposition went with varying success, USSR and Bulgaria won one after another. Meanwhile, this young sport met more and more recognition in international sport world. In 1980 the Olympic Committee made the decision to include rhythmic gymnastics to the Games, and that was another landmark in RG history. Unfortunately, the Olympiad in Los-Angeles (1984), where RG was first represented, lacked the USSR and Bulgarian participants, because of the famous political opposition between two superpowers. Unfortunately, politics also influenced sport then. Many people are sure, that this is the only reason why Canadian gymnast won the Olympic gold medal in Los Angeles. However, 4 years later the Soviet Team gained worthy revenge in Seoul Olympic Games. Then Marina Lobatch (USSR) became the champion. 1990s made their changes in rhythmic gymnastics situation. Famous Bulgarian sport school suffered the protracted crisis. First, soviet school also seemed to be in crisis, this even made some sport analytics say about the end of the legendary school. Fortunately, it was just the assumptions. The greatest renaissance of Russian RG School took place by the beginning of the 21st century. Russian rhythmic gymnastics wins the absolute leadership in the world. And all this happened thank to the legendary and famous Russian RG coach Irina Aleksandrovna Viner. She developed the greatest sport school, which not only keeps the old traditions and experience, but also finds new and creative methods. Viner’s students carry on her traditions sharing their experience. And that’s amazing! As it guarantees good prospects of Russian rhythmic gymnastics, it’s succession, and retains the art of victory. It goes without saying, that rhythmic gymnastics chronicle is far from it’s end. There will be many good pages, intense sport oppositions, great wins. We can say that this chronicle is infinite, as rhythmic gymnastics reflects the infinite human aspiration towards physical harmony and beauty. Do you train gymnasts? Help your girls to achieve victories and to go down to history. To let them win you will definitely need comfortable leotards for girls.